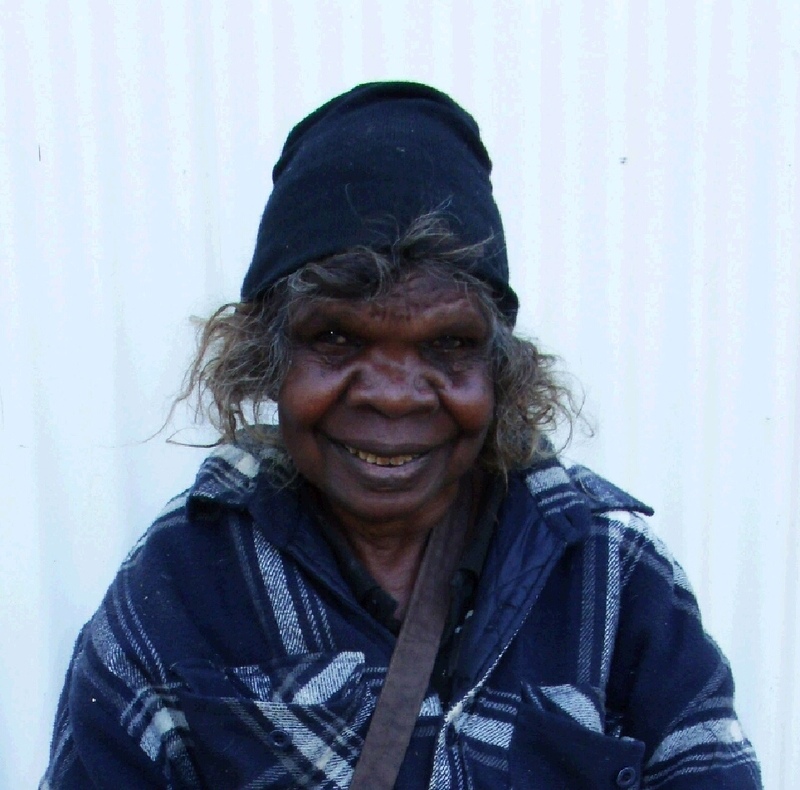 Narpula Scobie Napurrula was born around 1950 near Haasts Bluff and grew up in Papunya in Central Australia. Her older brother, Turkey Tolson Tjupurrula (deceased) and her husband, Johnny Scobie Tjapanangka (deceased) were also artists and greatly influenced Narpula's work. Narpula assisted her husband for many years - painting the background detail to his artworks - before painting independently in the 1980s. In those early years, Narpula was the only female artist working in the Papunya area. When Narpula began painting for Papunya Tula Artists in the early 1980s, she was one of the first and few women at the time to do so. Narpula depicts bush food stories, including the 'Two Women who came from Mitukutjarrayi' in the south. She resides at Mount Leibig.